Funny thing about aquariums; I’ve only ever been to one and I don’t remember it. How strange life can be. I can have so little experience with the medium and still sit at the helm of one. That’s what I love about games like Megaquarium. Getting to run an attraction/business like an aquarium is fun. Doing it in a space where screwing it up doesn’t result in massive lawsuits is hilarious fun. Twice Circled hit the best things that tycoons have to offer, but some of the features make the game a bit of a pain to play. So let’s dive into it. In the world of Tycoon games a campaign can provide something interesting to do. It’s become a staple to keep the genre from being a glorified simulator. 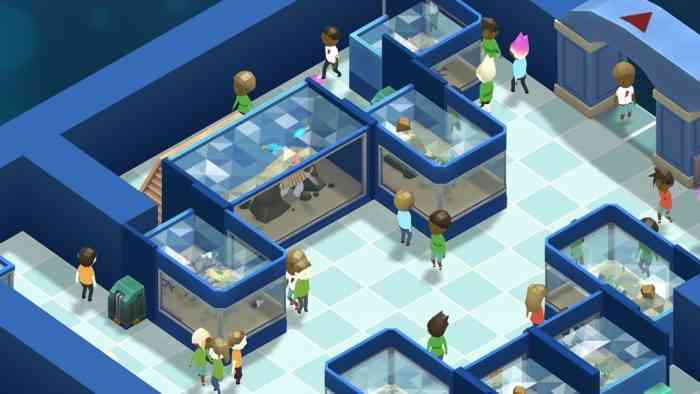 Megaquarium brings a pretty basic campaign to the playing field and that’s fine. I don’t need some epic story of climbing the aquarium owner ranks. Plop me in a small store and tell me to make it nice, and you’ve got a deal. Completing missions and objectives during the campaign is fun, relaxing, and generally easy. I found very little trouble doing my job in the early levels. I always found myself with way more money than I needed and trying to find something to do with it. Later on things definitely got a bit harder, but I never felt overwhelmed. None of the campaign missions are very special or memorable. Completing one still gave me that satisfactory burst, though. Like many tycoon games the real fun lies in the sandbox mode. While this seems contrary to what I said not a few lines ago, there is a reason. It bears noting that the freedom of these games is what draws players in. The campaign offers plenty of freedom in design. You only find challenge and control building from scratch in Sandbox mode. The gameplay lends itself better to this mode than the campaign. Players’ creativity can shine here, more so than in campaign. Yet there isn’t much else to say. I found great joy in making my own park but on the surface there’s not much more to it than that. You can’t create deathtraps of destruction or gulags of terrible service. Everything in this game is more relaxed and laid back. That doesn’t detract from the fun though. Isn’t it great when games make us say things like that? Yes. Yes it is. The way that Megaquarium plays is fun and slow paced. It lets you place various sized tanks and equipment in an attempt to keep guests happy and fish alive. You can hire staff to do all the dirty work (and you must) and place facilities for guests. 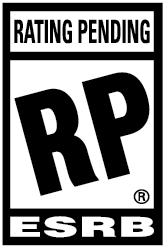 Every piece you place gets rated by the game’s Prestige System, Ecology System, and Science System. Ecology points go to unlocking new animals. Science Points go to unlocking new equipment. Prestige is your total score and level, and everything gets factored in. Guests will rate your aquarium by giving Prestige for seeing something. But, and this is important, Prestige can drain. Guests will demand fresh displays and animals which makes picking one layout hard. You’ll almost always have money, though, which eases the pain a bit. This brings us to my major issue with the game. The swapping and sale of individual pieces in the aquarium is non-existent. You cannot click into a tank and sell a single fish or decoration, you must sell the whole tank. The same goes for moving fish. If you don’t have an available tank with room for them, they won’t get moved or swapped. You’ll end up needing to make a tank in some back-room for storing fish for swapping. It can be a little annoying. Designing your aquarium is a blast. You’ve got tons of decorative pieces and paints to make it whatever you want, even a combination of things. Particularly, I like the beach and shipwreck pieces together. Let your imagination run wild and create crazy tanks, it’s all doable. Hiring staff is also a necessity for feeding and maintenance. It’s hilarious when you see them doing nothing. You can yell at them all you want, but they’ll still be waiting for a task to queue before getting off their lazy butts. 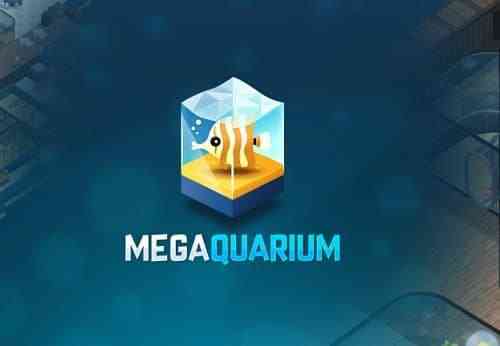 A simplistic art style fits Megaquarium and it’s easy on your rig. You’re welcome to turn up the graphics quality and shadows. The game even offers settings to limit fps during high usage. The visuals are pleasant colored and not a strain on the eyes. The fish are well modeled and look great too. You can also zoom, pan, and rotate to your heart’s content. There’s also a first person look should you zoom in far enough. The sound effects are good, but the music… Oh goodness. There is a tiny selection of tracks and listening to them over and over can be horrible. I found myself turning the music off after a while to cope. Altogether, Twice Circled has crafted a decent tycoon game that is fun and relaxing, if not a little unimaginative. It won’t thrill or challenge you like Planet Coaster but you’ll find yourself mesmerized by the simple joy of it. It feels like owning a hobby tank of fish…and people. It’s not a bad combination. If you enjoy tycoon games it’s worth picking up. Sit back, relax, and try not to think about eating seafood. Freedom in building and design. Lots of cool fish and tanks.